Fishing Charter in Sicily with all the sportfishing tecniques and: night trolling for swordfish, trolling with live baits, inchiku, tuna fishing. Fishing on the banks: Talbolt, Skerki, Pantelleria. The Fishing Charter is sponsored by Colmic. Offers and plans for a Fishing Charter in the Sicilian Channel, sailing from the Egadi Islands for the most fishy banks of the Mediterranean Sea. We perform night trolling for swordfish, trolling with live baits, inchiku to big groupers and all the sportfishing tecniques. How to book a Fishing Charter in Sicily. Directions to reach the Egadi Islands and Favignana, the location of a Fishing Charter sailing for the best banks and shoals of the Mediterranean Sea. Pictures of our Fishing Charter in Sicily. During the fishing excursions you will be able to fish on the best banks of the Mediterranean sea, in a unique fishing expedition in blue waters. 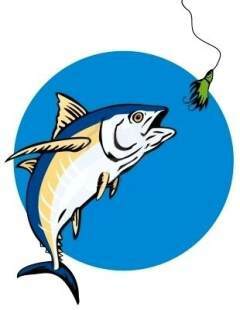 Videos and trailers of the Fishing Charter. A chase in blue waters to the big fishes in the Mediterranean Sea and the Sicilian Channel. © Sito web realizzato da EgadiVacanze.it - Tutti i diritti riservati.